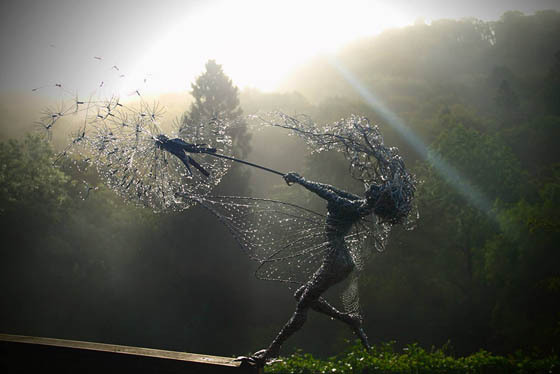 For most of us, fairies only exist in our imagination. 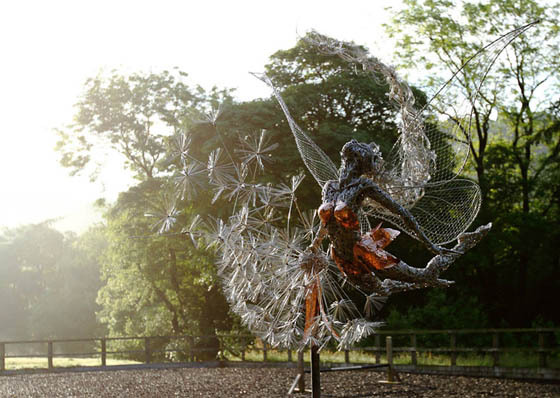 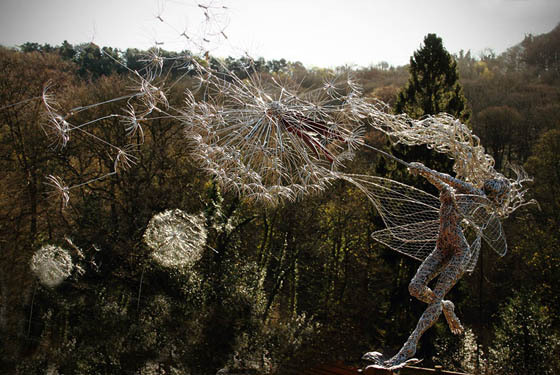 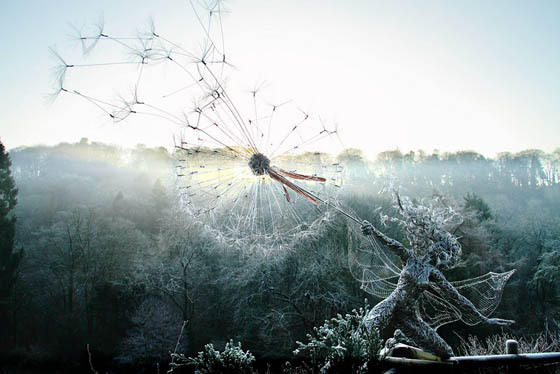 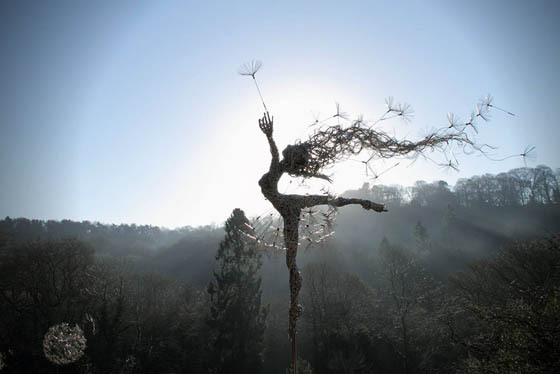 However, UK based artist Robin Wight manage to bring them into our real life by creating enchanting and dynamic fairy sculptures that seem to dance in or struggle against the wind. 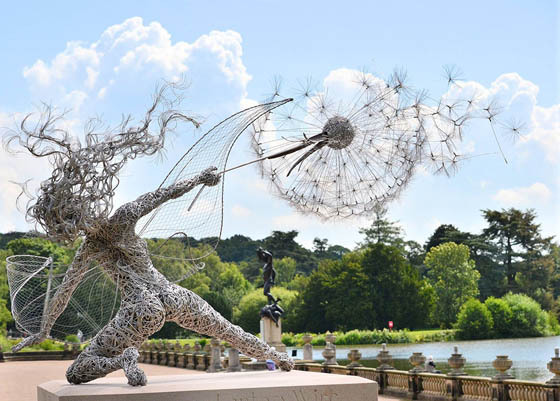 If you wonder how Wight actually create those amazing sculptures, you can find great detail about how each piece is built on his website. 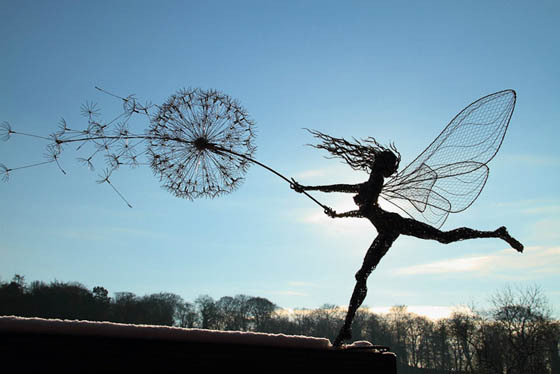 If you like those fairies and want to have one in your garden, you can contact Wight on his site. 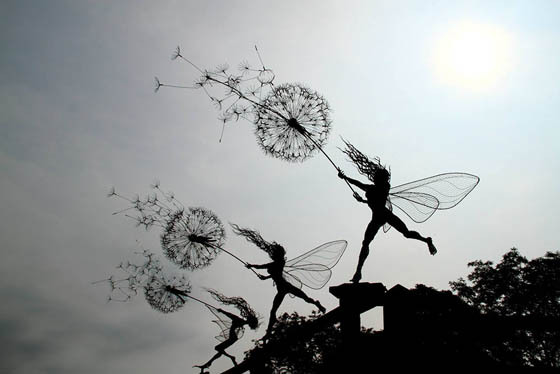 And if you want to crest your own fairies, Wight also sells starter kits through his website with instructions.